Turn to Majors Home Improvement for energy efficient windows that will improve the comfort of your home in the Fort Walton Beach, Florida, area. Since 1997, we have been a leading home improvement contractor that is dedicated to offering top-notch installation services and providing windows that are the best of the best. 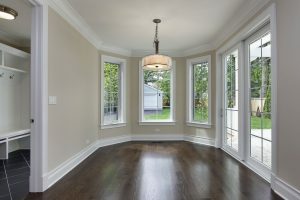 For many homeowners, energy efficiency is an important feature to consider when exploring replacement window options. Older windows just don’t have the energy saving capabilities of newer products, and they lead to high energy bills due to air infiltration that causes homeowners to heavily run their HVAC systems to keep their home at a comfortable temperature. With energy efficient windows, however, you can enjoy a cozier home environment, as well as potentially lower energy bills. To learn more about the energy efficient windows we install, contact Majors Home Improvement today. When you do, we can schedule a complimentary consultation at your home in Fort Walton Beach, FL, or a neighboring city.